Though both children and adults love the Church of God classic, Egermeier’s Bible Story Book was clearly written with children in mind. 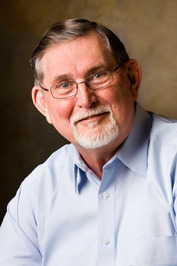 By contrast, a new release from prolific author and Church of God theologian Barry Callen is a Bible story book neither for young eyes, nor for the faint of heart. Did you know the Bible talks about crushing the skulls of men and babies? When was the last time you heard a sermon on the curse of the she-bears? When selecting a romantic line of poetry to recite to your significant other, do you follow the biblical example of saying that your bowels moved for him or her? 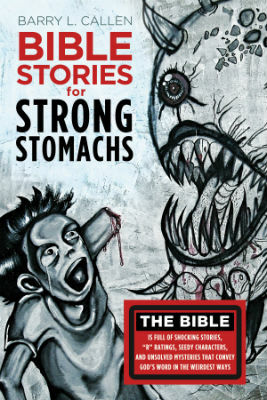 With attention to detail and a whimsical style all his own, Barry Callen offers both theological insights and practical application for these and more incredibly weird passages of Scripture in Bible Stories for Strong Stomachs. Twenty-eight stories are included in the new, very unique collection, each falling under one of four categories: “People Are Just Pitiful,” “God Sure is Different,” “How Not to Be God’s People,” and “Crazy Possibilities for the Future.” A sample of Callen’s chapter titles reveal the quirkiness of the stories and the wit that characterizes Callen’s approach: “Look Out the Window and Be Depressed” (Ecclesiastes 1 and 3), “What About Those Monthly Periods?” (Ezekiel 36, Jeremiah 2, Isaiah 64), “God Has Appeared as UFO” (Ezekiel 1 and 37), and “Two Bags of Dirt Will Get You God” (2 Kings 5). Each chapter describes the Bible story, digs below the surface, and offers a list of discussion questions which connect the story to today’s issues. While preparation for this unique book was no small feat, one of the most challenging stories for Callen to unpack was “Agree That the Donkey Did See an Angel” from Numbers 22. The book’s subtitle perhaps says it all: “The Bible is full of shocking stories, ‘R’ ratings, seedy characters, and unsolved mysteries that convey God’s Word in the weirdest ways.” You can search for the title and order your paperback copy or Kindle edition online at www.amazon.com. An online discounted price is also available at www.wipfandstock.com. This entry was posted in All Church of God and tagged Barry Callen, Bible passages, Bible Stories for Strong Stomachs, Bible study, book, difficult texts, discipleship, exegesis, mystery, Scripture verses, weird stories. Bookmark the permalink.